About Jeffrey R. Burns - The Law Office of Jeffrey R. Burns, P.C. Jeff graduated from the American University Washington College of Law in Washington, D.C. in 1981. After working in the ski industry in Park City, Utah, for a season, he has been practicing law since then. Jeff's primary areas of practice are in the areas of personal injury law, family law and divorce, and civil litigation. After graduating from law school, Jeff worked for a small insurance defense law firm in Washington, D.C. for a few years, focusing on defense of professional malpractice claims. From there, he went to work as a staff attorney for administrative appeals judges at the United States Department of Labor, Benefits Review Board. The judges Jeff worked for decided appeals of cases involving miners who had claims relating to black lung disease. In 1986 Jeff and his wife Lucinda, native New Englanders, returned to the Northeast to be closer to family. Jeff accepted a position as an associate attorney with Maine's fourth largest law firm, Preti, Flaherty, Beliveau & Pachios. Jeff worked as a general practitioner in the Rumford, Maine, office of PFB&P handling personal injury cases, family law, and civil litigation as well as worker's compensation, business entity formation, non-profit, wills and estate planning, commercial transactions real estate, and criminal defense. Being an avid skier and member of the Colorado Bar, in 1993 Jeff and his family relocated to Colorado. Jeff initially secured a position as the civil litigation attorney for a Greeley law firm. In 1999, Jeff brought his law practice to Summit County, Colorado, when he went to work with long time local attorney J. Albert "Jay" Bauer. The firm later became known as Bauer and Burns, P.C. Upon Jay's death in 2010, Jeff opened a solo practice, the Law Office of Jeffrey R. Burns, P.C. Jeff is currently a member of the Colorado Trial Lawyer's Association and the Family Law Section of the Colorado Bar Association. 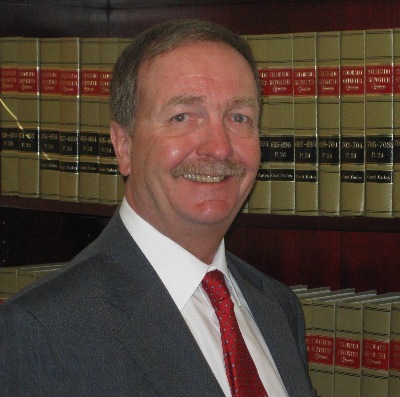 He formerly served two terms as President of the Oxford County Trial Lawyers' Association, as Chairperson of the Weld County Bar Association Family Law Section, and Treasurer of the Continental Divide Bar Association. Jeff also is trained as a mediator and offers mediation services. He has also been an adjunct professor at Colorado Mountain College teaching business law. Jeff has been very active in volunteer and community activities over the years. He has been a volunteer ski patroller and member of the National Ski Patrol (NSP) since 1987, He has been a ski patroller in Colorado at Arapahoe Basin, Eldora and Devil's Thumb ski areas and at Black Mountain of Maine. Jeff also served as the Legal Counsel for the Rocky Mountain Division of the NSP, and as an instructor in the areas of Outdoor Emergency Care, Ski and Toboggan skills, and Avalanche safety. Jeff has also served as a volunteer on numerous boards and committees and has been a long time member of Rotary and is currently a member of the Summit County Rotary Club.